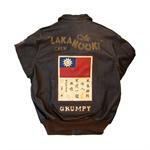 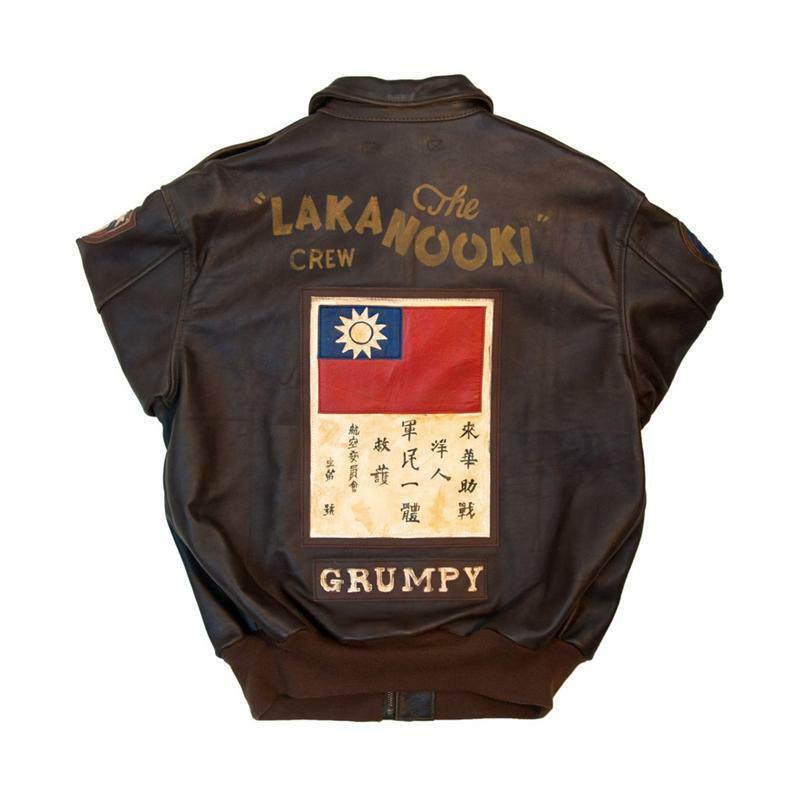 The 40th Anniversary Lakanooki A-2 Jacket is a replica of the A-2 jacket worn by the brave pilot of the Consolidated B-24 Liberator "Lakanooki". It flaunts stylized lettering which has been carefully painted to resemble the actual Nose Art found on the heavy bomber. 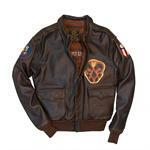 The applique embroidered patches are of the 374th Bombardment Squadron. The A-2 comes manufactured from tough horsehide leather, with 40th Anniversary Limited Edition silk screened and embroidered russet cotton poplin lining. 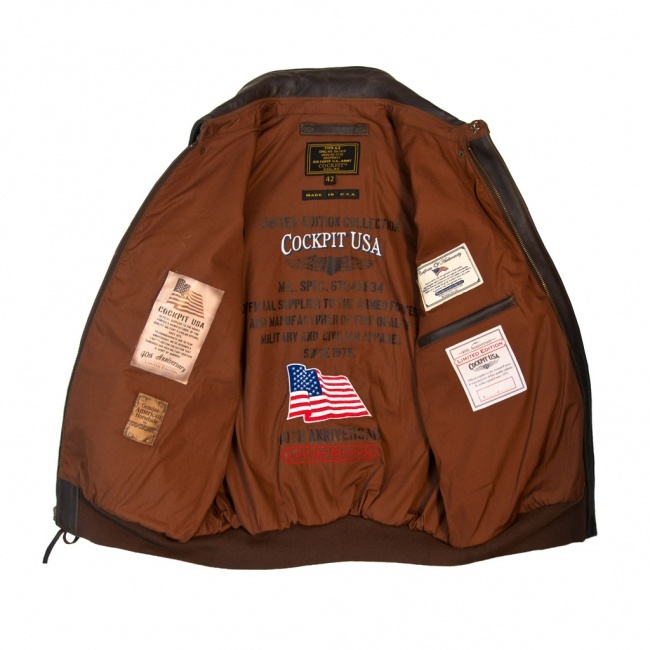 It features two front flap pockets and an interior pocket.